The British Educational Suppliers Association (BESA) works with Government, suppliers and schools to deliver quality in education services and resources both in the UK and abroad. Caroline Wright, director general designate at BESA, examines the broader implications of furniture and play equipment in schools and offers guidance on safety considerations, including advice from BESA members. In the 21st century technology-led learning environment, we generally consider a school’s duty of care to be based on ICT and Internet safety. However, protecting the physical safety of our children is a more traditional consideration that should not be forgotten. Having children sitting on well-designed furniture with a good posture, on chairs appropriately designed for their size is an important aspect of a school’s ‘duty of care’. While this can be easily overlooked, children sitting comfortably are also more likely to be attentive and focused on learning. In addition to this, use of play equipment is an important part of children’s early years’ development and should also be high on the list of safety considerations. It is interesting to note that, broadly speaking, the same safety considerations apply to both classroom furniture and outdoor play equipment. So we pulled in advice from BESA member organisations, Gratnells and Educational Play, to give their guidance on buying furniture and play equipment that will both help support learning and safeguard children’s health. Research has shown that high quality, well-designed furniture improves concentration and reduces misbehaviour, leading to better learning outcomes, so it is worth taking the time to make the right decision for your pupils. Schools should be aware that the British Standard for school furniture (BSEN1729), is advisory and not mandatory. To ensure that your pupils receive the best possible opportunity to learn in a safe and comfortable environment, you should always double check that your supplier conforms to these standards. Richard Picking, marketing director of Gratnells, offers some thoughts about the future for school furniture. “The healthy learning environment is a composite of elements. Apart from the obvious bricks and mortar requirements, teachers need bright, light and secure classrooms where colour abounds and learning resources are plentiful. More than ever, the creation of a child-centred environment relies on a mix of form and function – a balance between free creativity and good order. This is where good furniture design comes into its own to help the teaching process”. Many of the UK’s leading school furniture suppliers are members of BESA, which is committed to improving the quality and safety of these investments. Buying furniture from BESA member organisations gives you the peace of mind that you are buying high quality furniture appropriate to your specific needs, along with an excellent level of customer care. Gratnells is one such BESA member. “Flexibility, adaptability and mobility are the key attributes in helping to create the range of different work spaces needed to foster children’s creativity while ensuring an efficient system of storage and resources,” explains Richard Pickering. “Affordable modular systems do exist now to create a range of layouts, adapting to the needs and size of the learner group, as well as the subjects being taught. Designing a literacy corner, organising art groups or facilitating a science demonstration require very different arrangements. 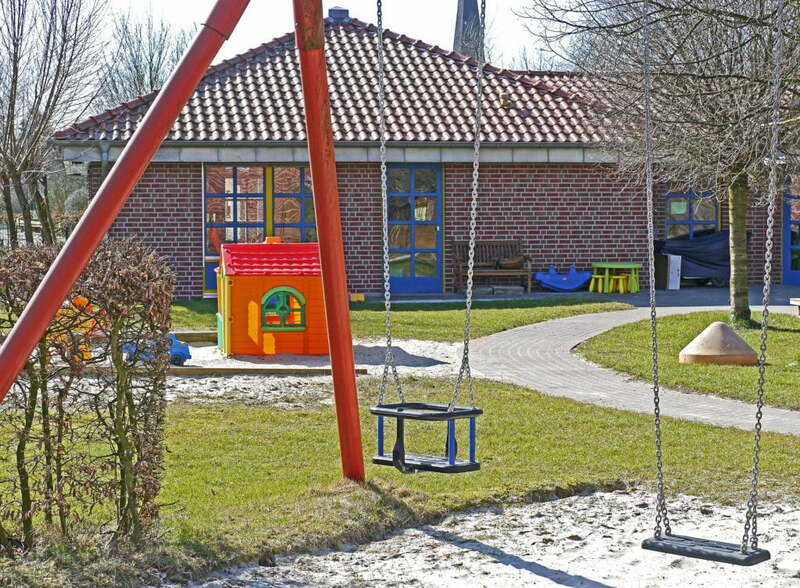 BESA member Educational Play will visit a site first to advise on the best use of a particular space and identify any potential safety issues that may arise. If your supplier isn’t offering this important service, you may want to look at alternative options, as this suggests that safety is not a leading consideration for them. Some of the budget furniture available on the high street might seem like good value for money at the outset, as well as a cheaper option than some purpose-made alternatives. However in a school environment, furniture needs to be highly durable to stand up to classroom demands. In the current economic climate, whole life-cycle costs are very important. Look at the supplier’s case studies and if it is a large investment, contact the schools already using the equipment to find out what they think of the furniture. Whether classroom furniture or play equipment, if the product hasn’t been manufactured to cope with stress and high-impact use, its lifespan may be shorter and therefore prove more costly in the long-run. A warranty is a good indicator of durability; many BESA members offer a ten-year guarantee, and company history is also an important quality by which you can evaluate a supplier. The wrong choice of chair or size of play equipment could result in back pain. Remember that the height of a chair should relate to the height of a table. Quality manufacturers following British Standard guidelines will have calculated the ideal distance between the seat of the chair and the table to ensure maximum comfort and ergonomic benefits for the pupil. Research dating back to the 1990’s suggests the size measurement on which most children’s furniture was based on the average size of children in the 1960’s, when they tended to be shorter. The British Standard guidelines recommend that schools purchase furniture with the appropriate dimensions for the age and size of the children using the equipment. As Jessica Pritchard at Educational Play explains, “it is also important to ensure you check whether the product has a long warranty/guarantee. If it does, it suggests that the equipment is well made and that the company wants a long term, supportive relationship with the school. Finally, all play equipment providers should have a ROSPA certified inspector to provide you with advice on the safety of the equipment. There is also no reason why even at a very young age, you can’t talk the children through the basics of safe play.